Sunrise Volkswagen is pleased to serve the residents of Lynbrook, NY, for their Volkswagen automotive needs, including new and used vehicle sales, certified service, and financial assistance. We’ve built our reputation on trust and exceptional service, so you know you can depend on us during your car buying experience. Begin your vehicle search with our massive Volkswagen inventory, and explore different models with our friendly sales team members who will help you narrow down your options. When you’ve picked the perfect new car you can’t live without, our finance department goes into overdrive to find you an affordable auto loan rate. We also have a fully-stocked service and parts department that’s ready to handle any maintenance or repair appointment. Lynbrook, NY, was a small farming town that has now grown to a population of around 20,000 residents. It was called many other names, including Rechquaakie, Near Rockaway, Parson’s Corners, and Bloomfield, before officially being known as Lynbrook in 1894. The village was officially incorporated in 1911. 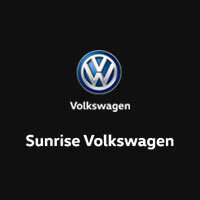 Sunrise Volkswagen is about a 4-minute drive from Lynbrook. Head north on Atlantic Ave toward NY-27 E.
Turn left at the 1st cross street onto NY-27 W.
The destination will be on the left, 931 Sunrise Hwy.